“What a great, accessible, and timely book! 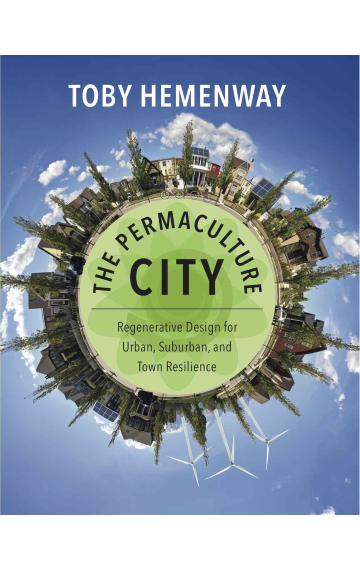 The Permaculture City is a must-read for anyone who loves where they live, wishes to deepen their relationship and pleasure in and with it, and realizes that our food, water, and community resilience may depend upon it. Toby Hemenway offers great guidance for applying the lens of intentional design to increasing food self-reliance (and pleasure! ), improving water efficiency and usage, and growing community, three elements that promise to improve the quality of relatedness to place as well as resilience in the face of weather and other uncertainties.